If you’ve filed claim for benefits as a result of an accident, there’s a good chance the insurance company will ask you to submit to what’s called an “independent medical examination.” Your Newport Beach personal injury law firm can explain what to expect and why the term “independent” may be a myth. After an injury claim is filed, an insurance company often requests an independent medical examination, or IME. Essentially, the insurance company hires a doctor to examine you and render an opinion about whether your injuries were caused by the accident in question and the extent to which they disable you from work or impact your daily life. Therefore, these exams aren’t really independent. Rather, they can more accurately be described as “defense” medical examinations. 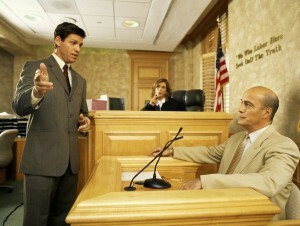 In some cases, the defense attorney will request an IME if they feel your settlement offer was too high. As such, your attorney can discuss whether lowering it is in your best interests. Sometimes, if the insurance company feels the lowered demand is more reasonable, they may settle, and you can avoid submitting to an IME. Your lawyer can explain your options and best strategies. Put your case in the hands of an experienced Newport Beach personal injury law firm. Contact Russell & Lazarus APC at 949-851-0222 to set up an initial consultation.